Los Angeles, CA: VFX Legion recently created a computer-generated universe for the Power Rangers: Shattered Grid trailer (https://youtu.be/X-v6WvuEwQ4) introducing the comic book series, and a new storyline with a dark twist. Legion’s team of artists built a virtual sci-fi environment that blends with original live-action footage and scenes from the Power Rangers TV series to create a promo that brings the comic book’s panel art into a live-action world. The release of the trailer launches the next chapter of the iconic Power Rangers’ story and marks the 25th anniversary of the franchise with the biggest event in its history. Kyle Higgins, creator and writer of the new Mighty Morphin Power Rangers comic from Boom! Studios’ franchise, called on VFX Legion to create futuristic visual effects that transport the live-action into a fictional environment with an ominous sci-fi feel. At the same time, Higgins wanted to convey the dramatic evolution of the Power Rangers’ story, from its original light fantasy-feel tailored to young children, to a sinister scenario with a dramatically different look and tone. The trailer features a malevolent Lord Drakkon, played by actor Jason David Frank, revising his role as ‘Tommy,’ one of the original Power Rangers dedicated to protecting the world. It opens with him viewing a CG hologram of a time when he was The Green Power Range. Now, the quintessence of evil, Drakkon’s mission is to destroy his former friends and companions. James David Hattin, creative director, senior visual effects supervisor and founder of VFX Legion, helmed Legion’s team of managers, supervisors, compositors, matte painters, layout, lighting, texturing and CG artists. 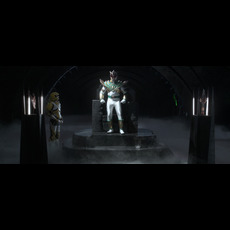 The Burbank-based company produced a mix of visual effects for the trailer, including computer-generated set extensions, replete with holograms. 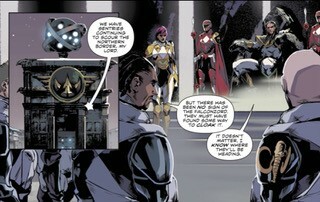 Legion’s team bulked up Drakkon’s army of foot soldiers and henchmen, working from a couple of shots of soldiers saluting, flanked by spaceships that set out to attack Power Rangers in the other time dimensions. VFX Legion (http://www.vfxlegion.com) is best known for its work on episodic television and feature films, and we’re always looking to branch out into other genres,” adds Hattin. “Creating a dark sci-fi universe inspired by an iconic comic book was a cool idea."